All colors shown on the pictures may vary because these are made from used wine barrels, each one is different as we get them. 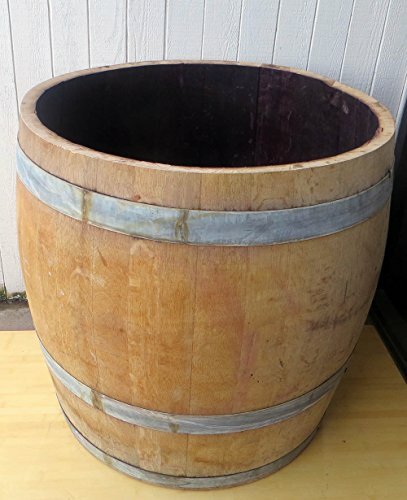 We turn used wine barrels into this tall garden planter. General rules in selecting the right size container for your plants are that the container should be about twice the size of the root ball of the plants. if you are planning to put a shrub or a small tree in the tub, you need to use this tall barrel planter. Oak wood and cedar wood bottom for long lasting planter. Extra high for planting larger plants that required more room to grow. Unique Urn Style planter, 27" wide and 27" high. Reclaimed wine barrels every individual pieces will look different form one another.